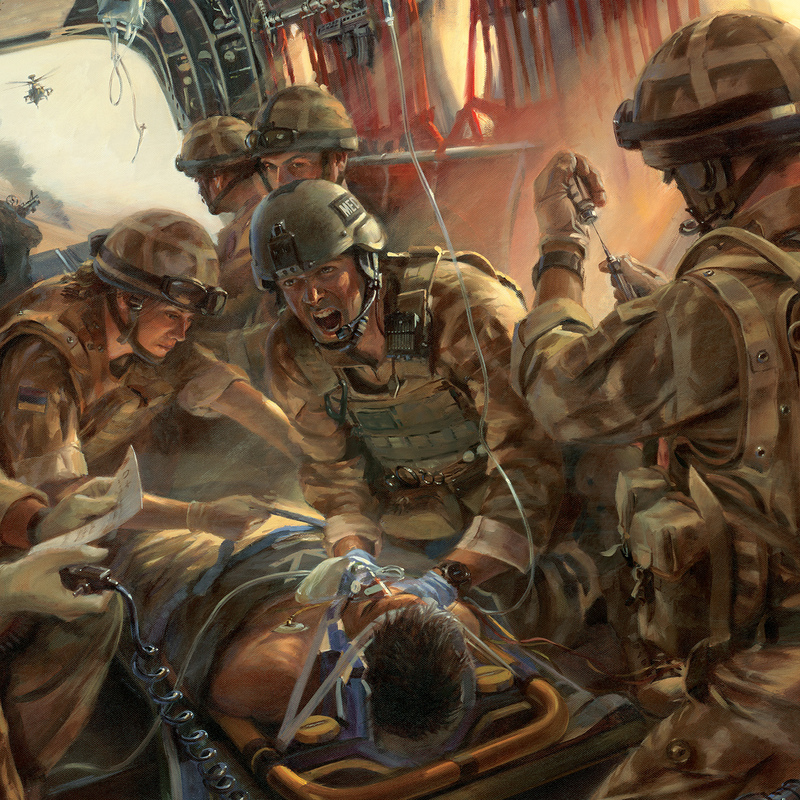 The Medical Emergency Response Team (MERT) aboard a CH47 Chinook above Southern Afghanistan, battles to save the life of an injured soldier. 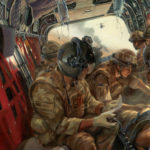 Drawn from all three Armed Services the MERT is a multi disciplinary, highly trained and extremely motivated team whose over arching aim is to save those injured in Afghanistan and beyond. 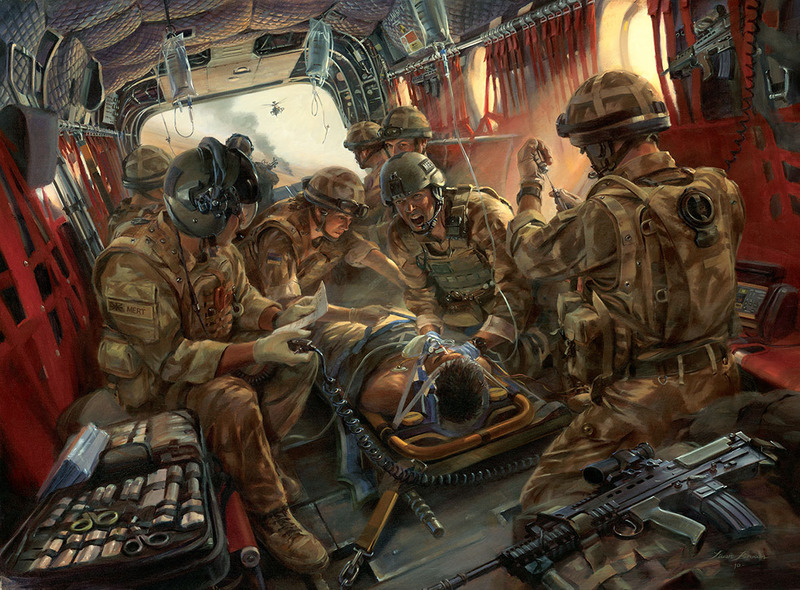 Commissioned by the UK Special Forces Medical Group. 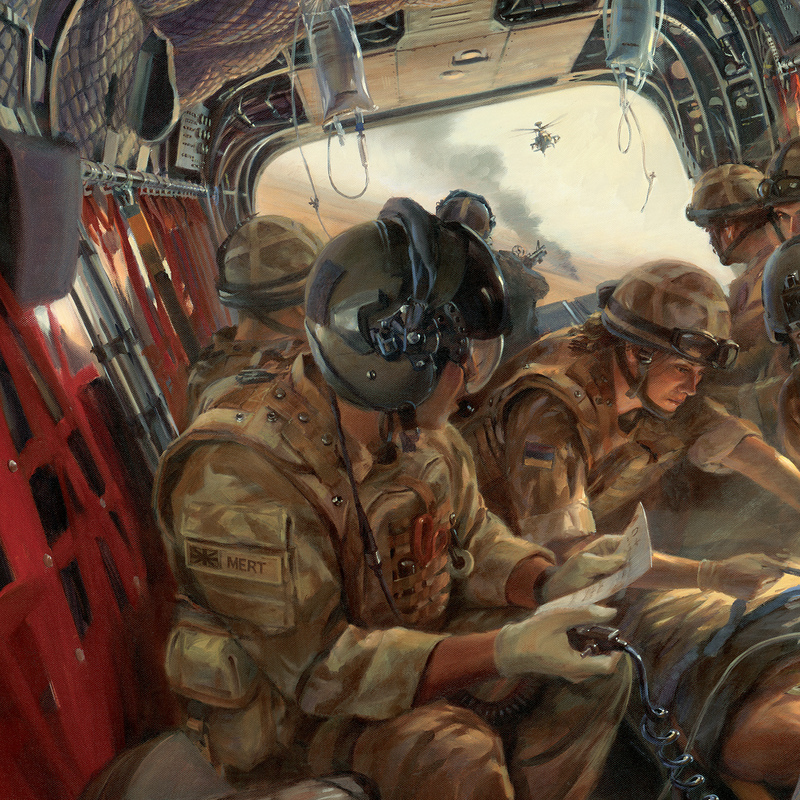 Overall print size 62.4 X 50 cm / 24½ x 19¾"
Image size 54.6 X 40.3 cm / 21½ x 16"